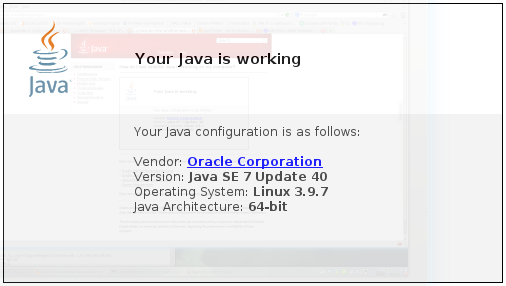 It’s Java security update time again, folks. The IcedTea team just released version 2.4.1 of their “build harness” (which builds the OpenJDK source code using Free Software tools and allows for other features such as support for alternative virtual machines and ARM support). The new IcedTea will build OpenJDK 7 Update 40 Build 31 – or 7u40_b31 in short. This includes the latest security updates. IcedTea 2.4.x continues to track the upcoming Java 7u40 release “upstream”. For the official announcement check out GNU/Andrew’s blog post. The security fixes are all listed on that blog page but I will repeat them here verbatim. S7170730, CVE-2013-2451: Improve Windows network stack support. Posted: 8 July, 2013 in Slackware, Software.